Lemon GreenTea: Reese Witherspoon should bag an Oscar Nomination for the "Wild"
Reese Witherspoon should bag an Oscar Nomination for the "Wild"
Everyone is expecting Reese Witherspoon to bag an Oscar Best Actress nomination for this film for her fine performance, directed by Jean-Marc Vallee from a screenplay by my favorite novelist Nick Hornby. Thinking she’d lost everything, Cheryl Strayed walked out of her broken-down life and into the deep wilderness on a 1,100-mile solo hike that would take her to the edge. 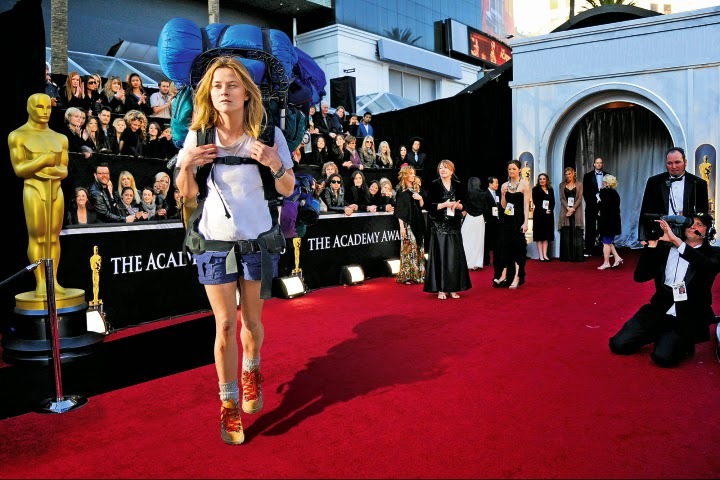 “Wild” began with Cheryl Strayed’s own personal story – that of a woman still reeling from the sudden loss of her inspiring mother, a wrecked marriage and a headlong dive into unabashed self-destruction who decides to put a halt to it all and takes a seemingly preposterous adventure. With zero outdoors experience, a monstrously heavy backpack and fueled by little but her own ragged will, Strayed set out to hike the PCT, the longest, toughest and wildest through-trail in America, completely alone. Barely a few minutes into her trek, she considered quitting. But she persevered and during those few months, she found reminders of joy, courage and beauty amid the fear, exhaustion and peril. It was an adventure that helped her put her life back together again and emerge with a raw but remarkable story. Strayed’s experiences became the beating heart of an inspirational, best-selling memoir that was about more than just an inexperienced hiker’s crazy, grueling experience walking from the Mojave Desert to the Pacific Northwest via the rugged Pacific Crest Trail (PCT). With its mix of punk spirit and vibrant honesty, it also became something rarely seen: a portrait of a modern, messed-up woman coming-of-age by embracing the call of the wild in her own way. On the trail, Strayed faced down thirst, heat, cold, feral animals and all of her worst fears, but even more so, she faced up to change: pushing through to carve her own path out of grief and a haunted past.